Based on similar promotion of a Star Alliance carriers Lufthansa, Swiss International Air Lines, Air Canada and United you can also book very attractive return flights from main airports in Italy (Venice, Milan) to Honolulu! Return tickets (incl. all taxes and hand luggage) are available from just €367! It has been a while we posted some good solution from Europe to Hawaii so do not miss this excellent opportunity to explore beautiful Honolulu., capital and the largest city of the U.S. state of Hawaii on the island of O´ahu, next winter season 2018/2019. This is Star Alliance flash sale. Lufthansa promotion is available only till 31st of October. You will find limited availability when departing from Italy to Hawaii between 1st of November to 18th of December 2018 or 6th of January to end of June 2019. Blackout period around Christmas Holidays. Max stay 3 months. If you want to book your hotel in Honolulu in advance consider to use Booking.com or Hotels.com. You can compare all currently available travel options directly at website of Lufthansa. 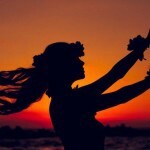 Booking sample of cheap return flights from Italy to Hawaii from just €367! As per above link you would depart from Venice to Honolulu on 24th of April and return from this unique and remote isle back to Europe on 5th of May 2019.